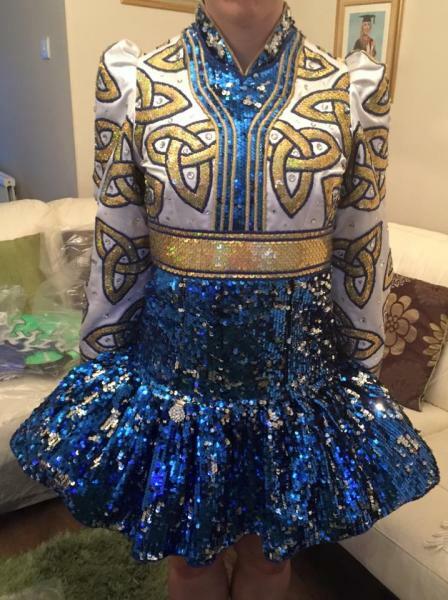 dance.net - Reversible sequin dance dress (10246581) - Read article: Ballet, Jazz, Modern, Hip Hop, Tap, Irish, Disco, Twirling, Cheer: Photos, Chat, Games, Jobs, Events! Royal blue, gold and white dress. 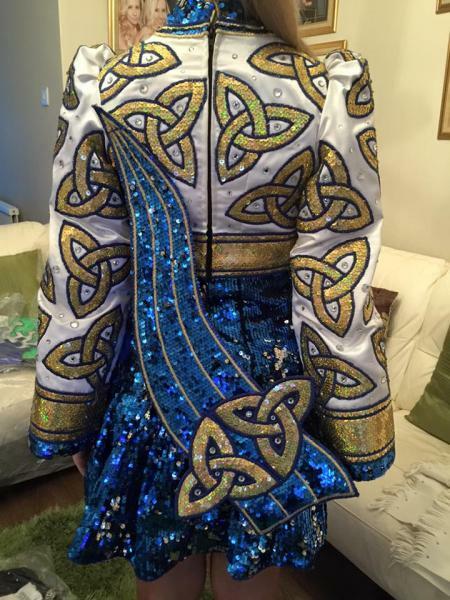 Made with blue/ silver reversible sequin fabric, and gold holographic sequin. 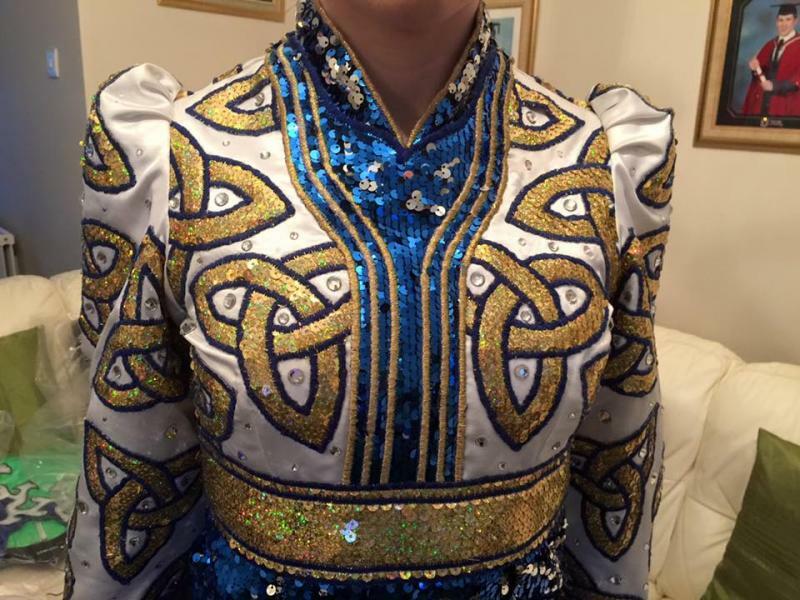 Swarovski crystals on the body and sleeves.